If you still don't have a Paytm account. 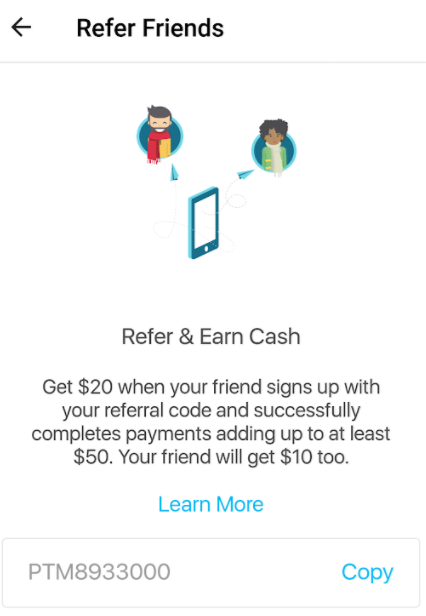 I suggest you open on ASAP and you will get your own referral code after that. You will have enough time to refer other people before Mar 9, 2018. Please use our referral code PTM8933000 during sign-up if you cannot find one. BTW, if you see any issues with code PTM8933000, please let me know (canadianrewards@gmail.com), and then try code PTM6413066. Thanks. Note: If you only see a $10 referral bonus in your Paytm account, don't worry. Paytm will deposit the additional $10 on March 13, 2018.